Sky’s business-to-business division has today announced the launch of their new Sky Ethernet service into the market (channel), which will be delivered via over 2,800 exchanges and a 7,500km fibre network that claims to cover 96% of UK business postcodes. The news follows a key announcement in May 2018, which saw Sky enter into a new partnership with SSE Enterprise Telecoms (SSEET) to deliver high-capacity and cost effective Ethernet data connectivity to businesses across the United Kingdom (here). As part of that Sky said they’d provide SSEET with backhaul and last-mile services enabling their 200+ ISP customers to benefit from more choice and a wider reaching capability. Meanwhile today’s announcement of the new 1Gb Sky Ethernet service notes that 70% of their exchanges are already 10Gbps enabled and they’re also boasting a wider figure of 99.95% network availability. 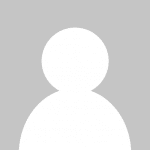 We should add that Sky are also working with business ISP FluidOne, as well as SSEET. 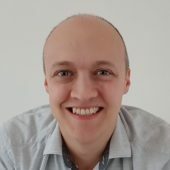 “We could see an opportunity in the Channel to make a difference in terms of offering an alternative choice and meeting the growing demand to deliver quality connectivity to the B2B market place. It seems to us that the wholesale connectivity market isn’t meeting the end-to-end expectations of the customer. That’s from nationwide gigabit coverage through to service support. It’s simple really. Not having a legacy base gives us a chance to re-write the rule book. Because we don’t have any legacy processes, products or contracts to protect, it means we are not restricted and can be open minded about where we go and where we invest, particularly focusing on areas that make a difference for our partners. It’s key for us to offer a compelling partner experience, giving partners access to sporting events, content and marketing support which they might not be able to get elsewhere. We are looking to work with a diverse range of partners from specialist connectivity players and aggregators through to cloud providers, international carriers and SIs. The new service is unlikely to negatively impact existing residential customers of the Sky Broadband platform, not least since business traffic tends to be handled differently and also peaks during the daytime, while consumer data traffic peaks more in the afternoons and at weekends. Anyone know what kind of price range something like this would be set at, and could you order it for residential use e.g. SoHo? It looks like it’s just layer 2 – e.g. a link between a building and one of the POPs where Sky can hand the link off. It’s not an Internet service, it’s designed for service providers to purchase. A national Layer 2 Ethernet service, providing high quality, dedicated connectivity to communication providers across the UK. Sky is the leading connectivity, communications and entertainment provider serving millions of homes and businesses across the UK. 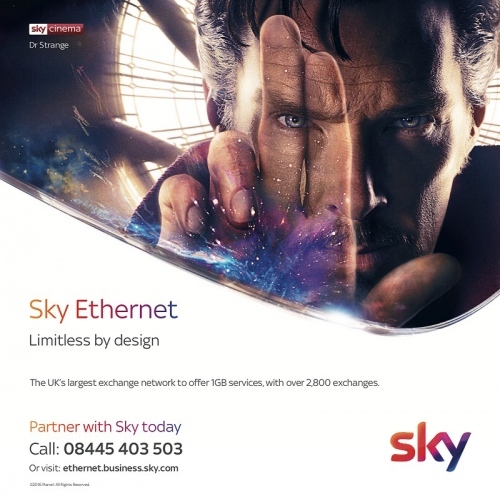 Leveraging our world class nationwide fibre network and UK’s largest 1 Gb enabled exchange footprint, Sky offers an unrivalled, highly reliable, carrier grade Ethernet service that is backed by comprehensive service level guarantees. And only available in the right building in the right area at the right time.